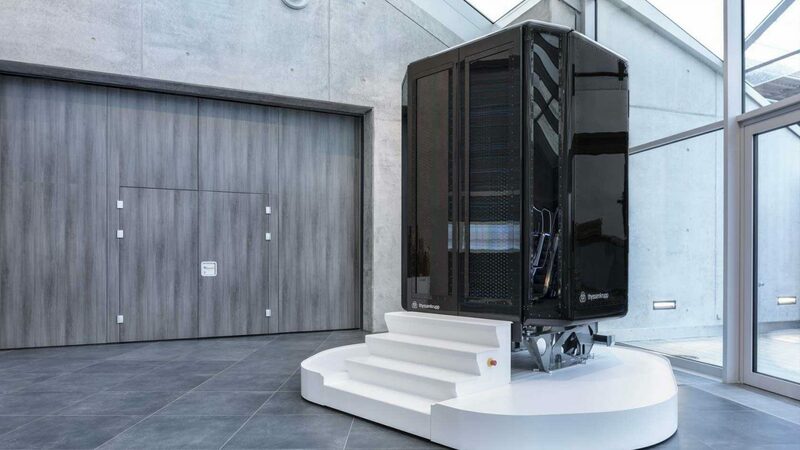 A modular scenography by Milla & Partner serves as backdrop for the staging of the latest generation of elevators using magnetic levitation technology and thyssenkrupp Elevator´s vision for the future in their new high-tech test tower in Rottweil. 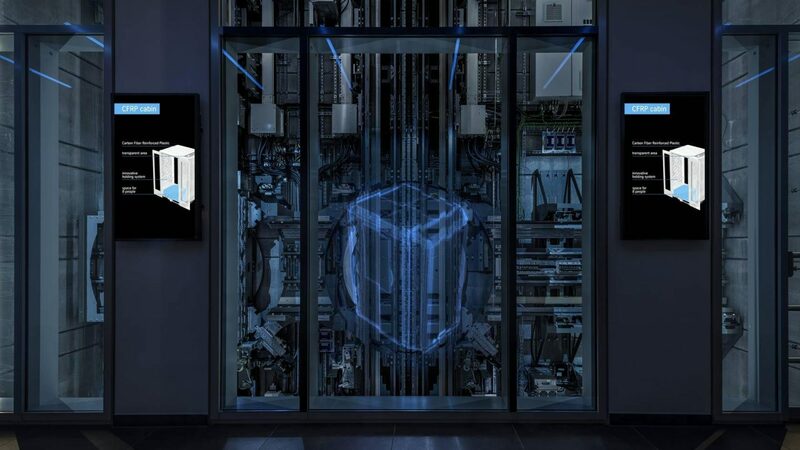 The test tower, opened in October 2017, is thyssenkrupp Elevator´s new future lab. Prototypes are tested here before they go into production. 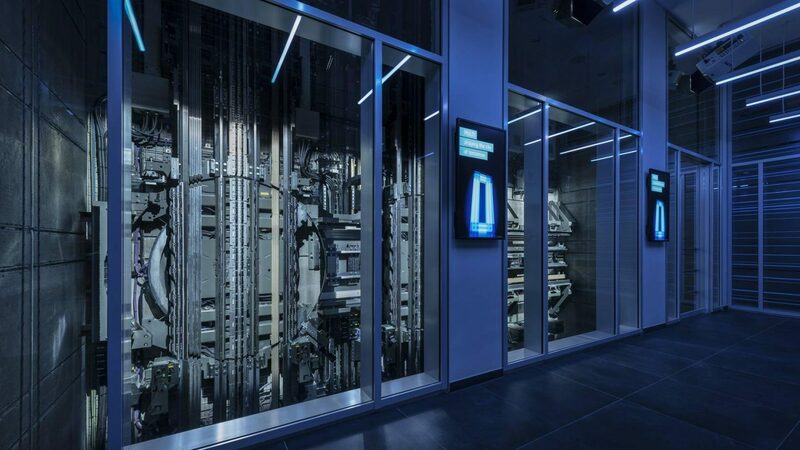 The revolutionary multi-system celebrated its world premiere here and ushers in a new era: with the first rope-less lift, several cabins in the same elevator shaft can be operated horizontally and vertically. 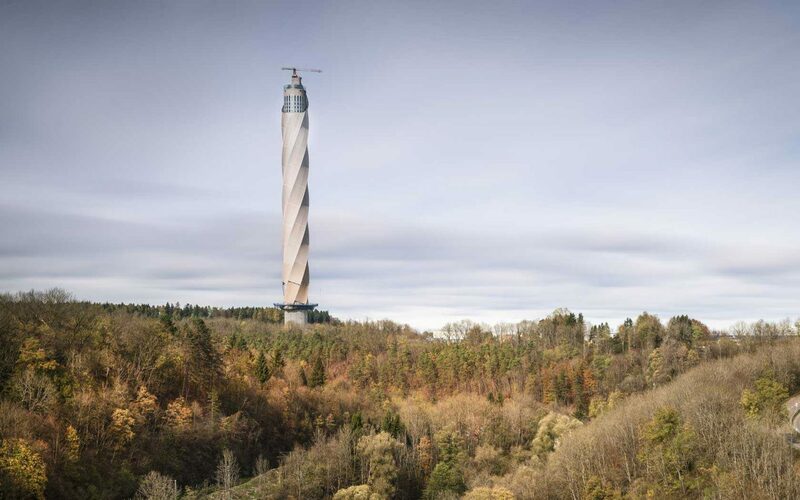 But the currently tallest tower in Baden-Württemberg with a height of 246 m is more than just a functional building for research and development: it is a place for intensive exchange with corporate customers, a unique event location, and with the highest public viewing platform in Germany, a visitor magnet throughout the region. 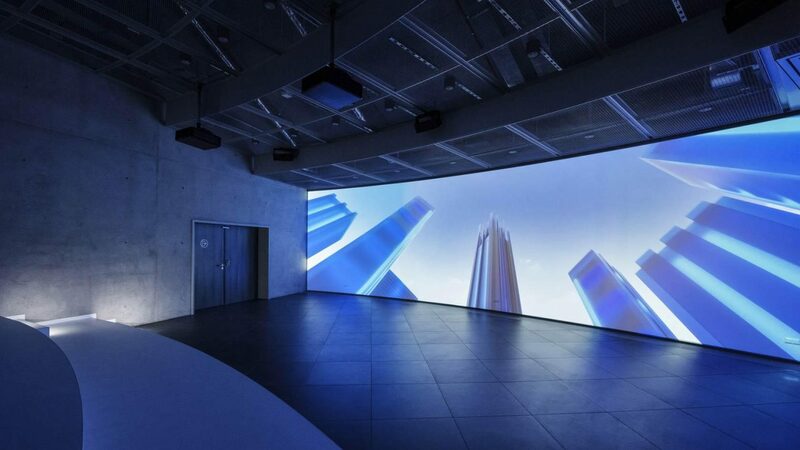 The Vision Space serves as emotional warm-up for visitors. 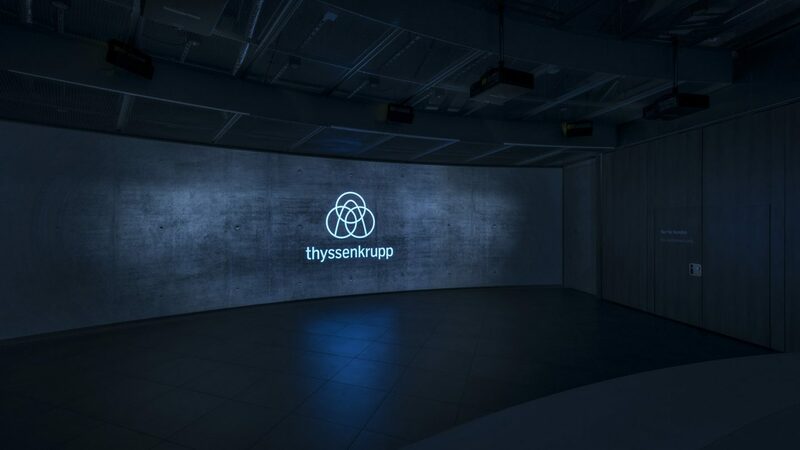 In an immersive staging, a wide range is spanned, extending from thyssenkrupp Elevator´s future visions to the networked city and mobility of the future. 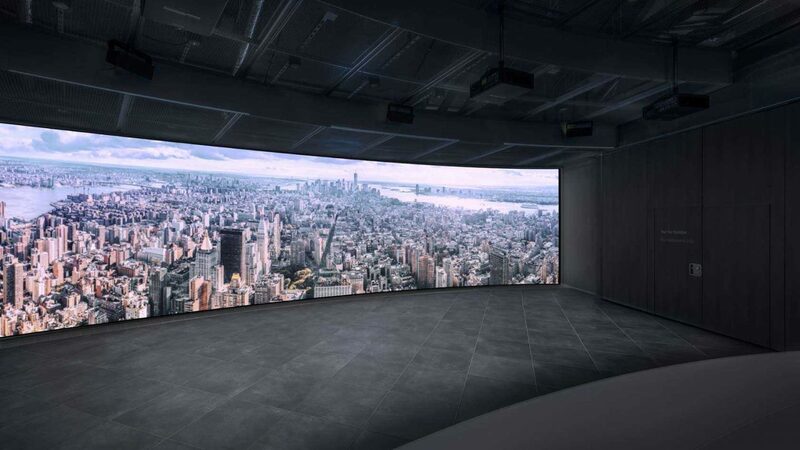 The medial format in Supercinemascope translates the drive behind the development of the innovative Multi lift system and generates a space-defining, cinematic experience with completely novel images. 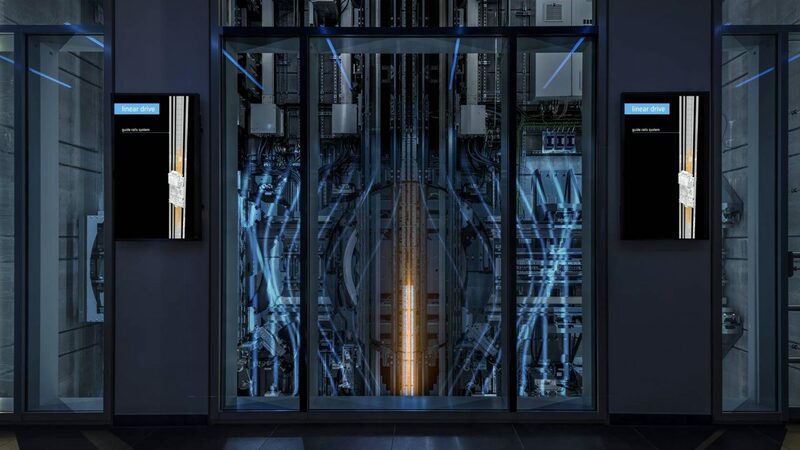 At the core of the research facility, visitors can expect a unique experience: they gain insights into the groundbreaking elevator technology of the future. 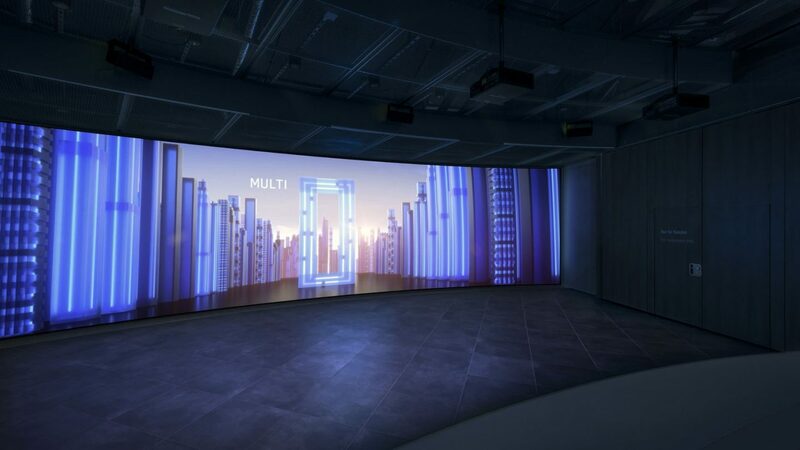 In a mixed reality staging, the built-in components of the technology combine with virtual elements into an exciting dramaturgy that gradually reveals and explains the details – and finally melds into an overall picture. On the ride up on the panoramic elevator, the view into the landscape opens and the height of the tower becomes noticeable. 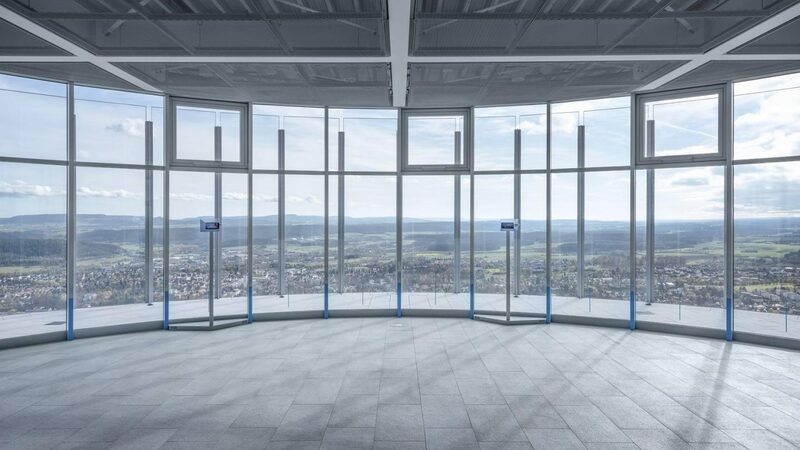 The publicly accessible visitor platform offers an impressive panoramic view of the Black Forest and the Swabian Alb all the way to the Alps. 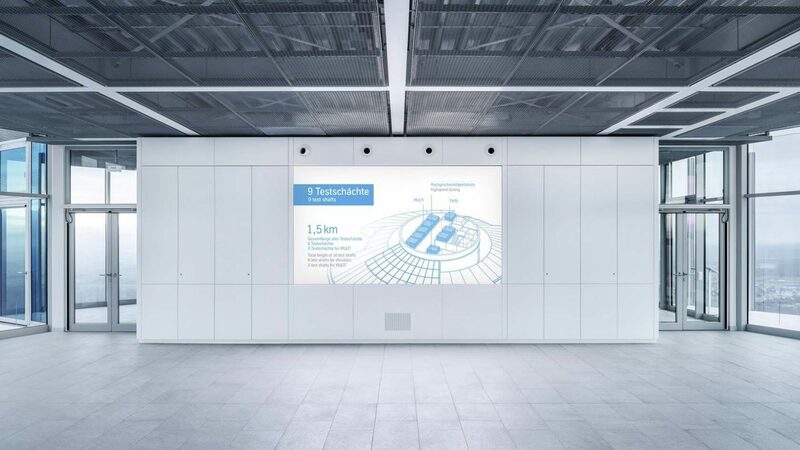 At the center of the platform in a media area, the new landmark becomes its own topic: films provide information on the construction, function and characteristics of the test tower. 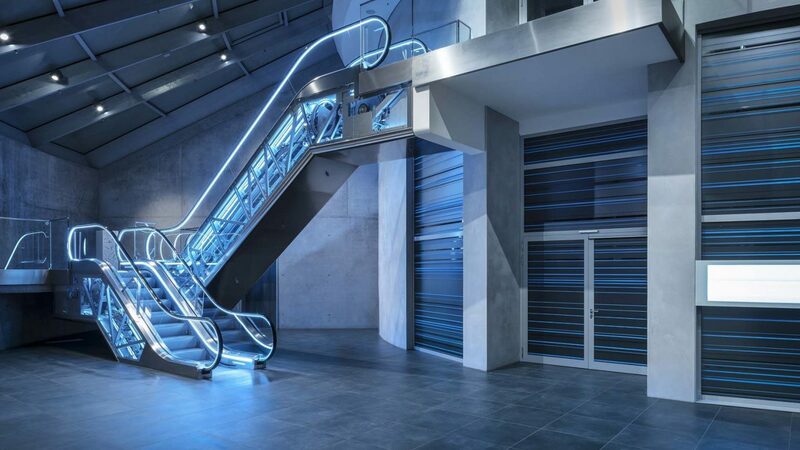 The minimalist design accents the space without compromising the effect of the spectacular vista - the view from the tower is elevated dramatically. 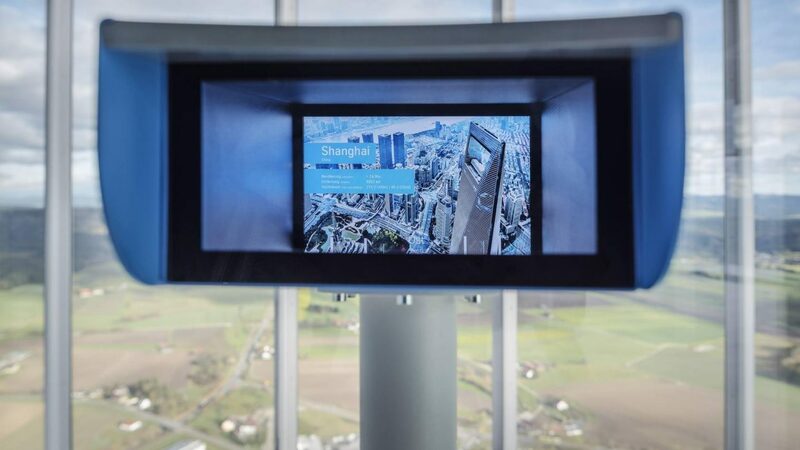 A project compass allows visitors to discover exciting projects around the world using technology by thyssenkrupp Elevator. The various visitor groups use different entrances to experience the test tower. 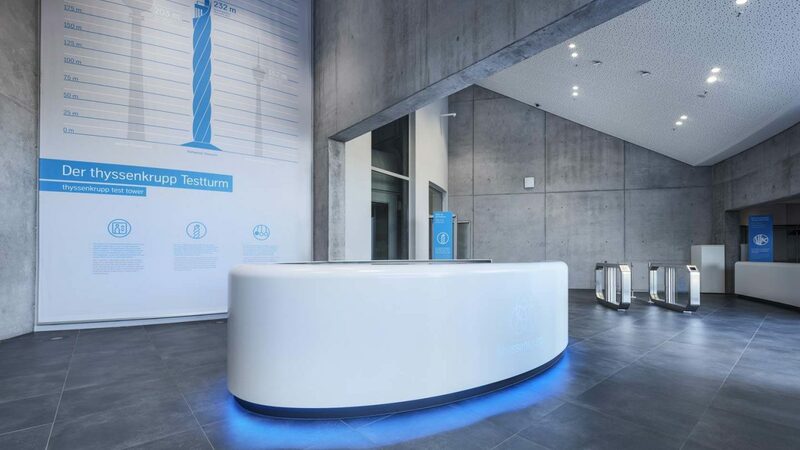 Both the foyer for customers and partners and the separate reception area for the public form powerful preludes to the customer journey inside the test tower. 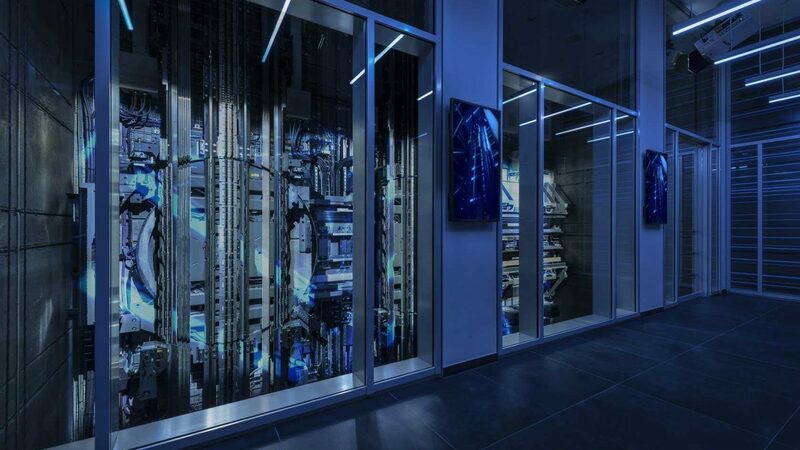 The pure and futuristic architecture emphasizes the future topic - the innovative character of the entire building becomes immediately tangible to all visitors. 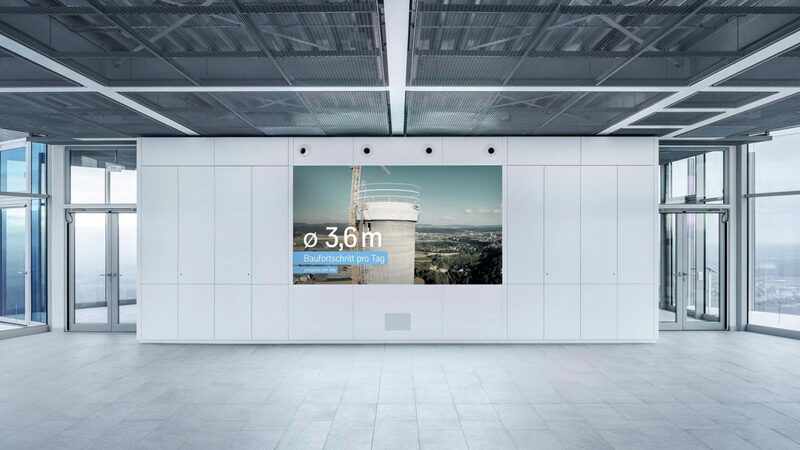 At this year's Red Dot competition, the visitor centre in the thyssenkrupp Elevator Test Tower in Rottweil convinced the 24-member international expert jury and was honored with a Red Dot Design Award! The number of this year´s applicants was great: the jurors had over 8,610 submissions from 45 countries to decide on. 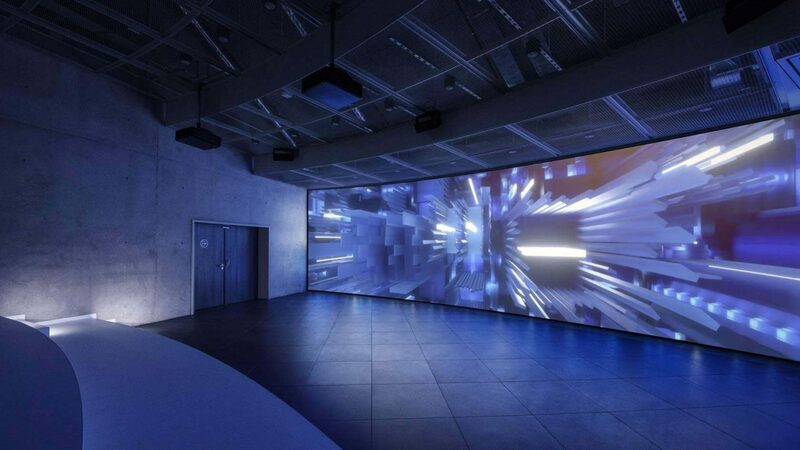 The project was awarded in the communication design discipline. 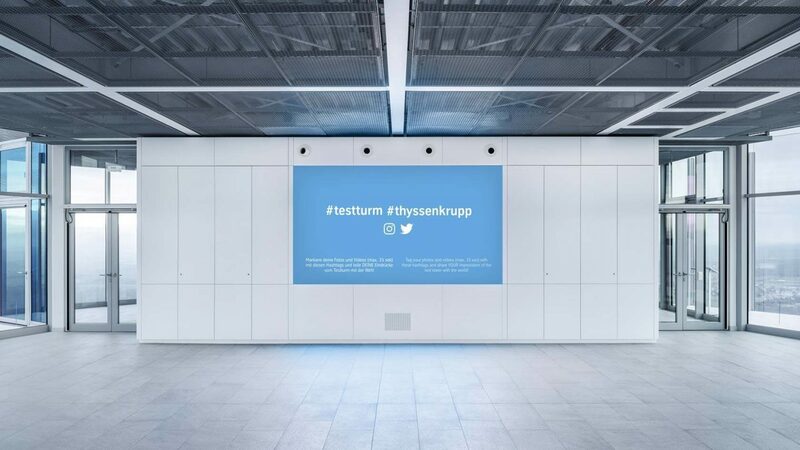 The visitor centre in the thyssenrupp Test Tower in Rottweil was awarded by the Art Directors Club at this year's ADC festival, Germany's largest creative festival. Congratulations to the whole team for a great job superbly executed!